Every now and then, we go through bouts of constipation that leave us with different discomforts that make us wish for it to simply go away. But with a little patience and a lot of discipline, we can avoid getting constipated when we become more conscious in taking good care of our bodies. Seniors receiving Home Health Care can easily recover from constipation when they get supervised with their food and water intake. Our caregivers are simply on the lookout for their health and well-being to keep them in great shape at home. For your seniors at home, you can do these tips to help them avoid constipation as often as possible. Water is such an important resource that we still often neglect to accurately consume it in a day. Drinking at least 2 liters of water a day can help with our organ functions and ease us from the discomforts of constipation. Drinking more water hydrates our bodies and lessens the work in our stomachs when water is present to flush down any unabsorbed food and nutrients. So drink up and get hydrated to stop constipation in its tracks. Fiber-rich foods help you with easier bowel movement since dietary fibers like vegetables, whole grains and fruits cannot be absorbed or digested by our body mainly pass through our digestive system in bulk. This stimulates healthy bowel movement and improves stool consistency. The alkalinity of coffee often gives some individuals the urge for a bowel movement. If your stomach also gets irritated with caffeinated coffee, drink a little more when you are constipated to ease your bowel movement. Yogurt, dairy products, and other probiotic drinks can increase the frequency of bowel movement. As a trusted Home Care Provider in Worcester, Massachusetts, it is our responsibility to assist our clients with their health needs that will keep them away from any health problems. 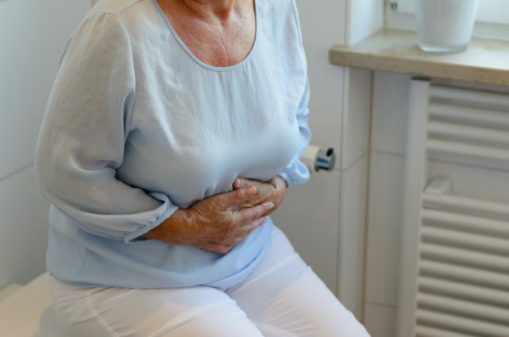 Without any worry, your senior loved one can avoid the symptoms of constipation with the close watch of our Adult Care Services in Massachusetts. For senior home care services, Prestige Health Care Services, Inc. serves Massachusetts and nearby areas. For questions and service inquiries, send us a message here and we will get back to you as soon as possible. This entry was posted in Constipation and tagged discomforts of constipation, health and well-being, home care services. Bookmark the permalink.